A city of colors, the city charms its admirers and visitors with it confluence of terrains, colors, and cultures. The ancient city, immaculately planned by its learned king and his trusted architect, was amongst the first planned cities in the Indian subcontinent. While the most popular conjecture is that Jaipur donned pink to welcome the Prince of Wales, other fables go a step further and say that Raja Jawai Singh, the ruler of Jaipur then, used pink to cover up a diplomatic mix-up during the ambassador’s visit, prior to the Prince’s visit. It is said that a simpleton in the court actually called the Prince’s men “pink-faced monkeys,” so the Raja ceremoniously had the entire city painted in pink to convince the Prince and his people of his honest and hospitable intentions. Other stories, though less dramatic, are equally interesting. 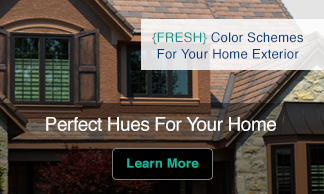 Of the numerous stories, the more plausible one seems to be that the contractor chose pink in light of the lack of availability of large quantities of any other color. 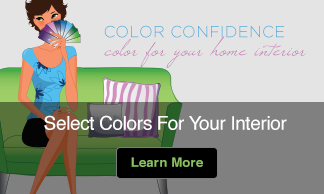 While the scientific reasoning behind the choice of pink has been pinned down to its reflectivity and cooling effect, it is also believed that the king experimented with colors like green and yellow before finally settling on pink. All in all, this city built in sandstone is a gem both on merit of its clean cut designs as well as the grandeur its traditional structures present. Whatever the real reason might have been, the city savors and celebrates its heritage by ensuring that the people uphold its culture and history in every which way. 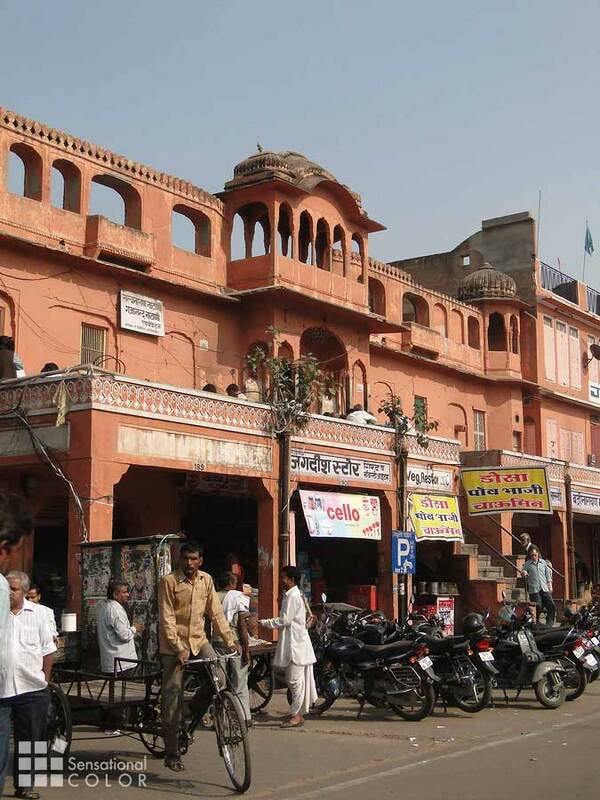 New buildings in and around the old city layout have maintained the pink color of the original city in order to carry on the legacy of Jaipur the Pink City. The original city is an architectural marvel. Though simple in its plan, its tapering columns, elegant porticos, portal seats, and large, inviting gateways have been treasured and safeguarded by a people who have great pride in their cultural heritage. A city of deserts, royalty, craft, and culture, Jaipur and its people thrive in their vibrant and awe-inspiring surroundings. The people adorn traditional attires that reflect their free spirits and grandiose past. 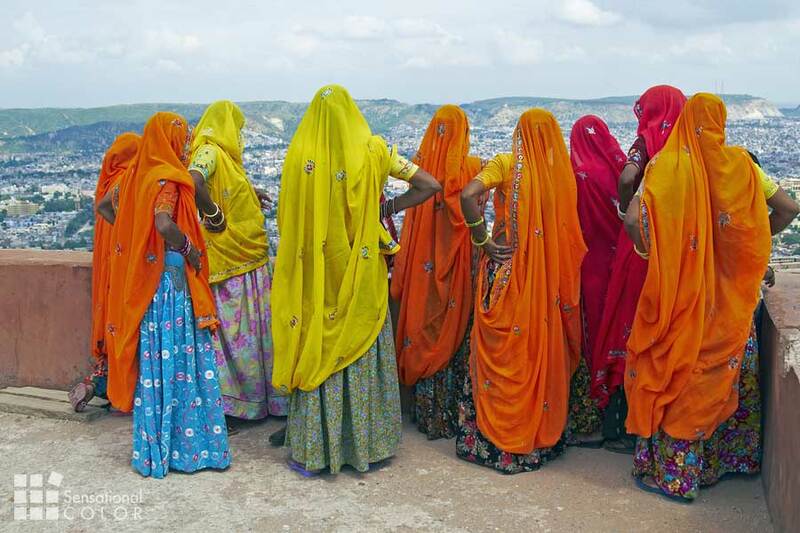 Swirling skirts, colorful turbans, intricate leatherwork, mirrors, and more, Jaipur is perhaps one of the only cities in the Indian subcontinent that reflects the fusion of modernity and heritage this beautifully. It is no wonder then that today, celebrities, tourists, and guests from all over the world mark the “Pink City” high on their priority list of places to travel. Its effervescent traditions, customs, and appeal have also earned the city the affectionate tag of the “Paris of India.” Royalty and high culture still exist in the city in its grandiose palaces and buildings, but there is a simplicity that coexists amongst the people. The ambling camels along the turbaned and colorfully attired men present Jaipur’s visitors a glimpse into the regal past of the city. The color that adorns the city takes form in the hearts of the people living in it. It signifies the romanticism of a bygone era treasured and kept alive by the people of Jaipur. Set against the magnificent backdrop of majestic forts and palaces, the city is reminiscent of the lingering romance for life, art, music, and literature that was upheld by the rulers of this princely state. To the tourists and visitors who marvel at the inner and outer beauty of the city and its people, pink represents the warmth and hospitality that has overwhelmed the millions that walked its streets. The timeless appeal of the city lies in its pink garb, fairytale palaces, rugged fortresses, kaleidoscopic attires, and the genuine warmth that the people of Jaipur exhibit. A city that is marked by festivals, rituals, music, traditions, and an old world charm, Jaipur and its people revel in their inheritance. Perhaps this is why the city of gems has found a place in the Indian subcontinent as a shining example of culture, royalty, progress, and tradition, all rolled into one. 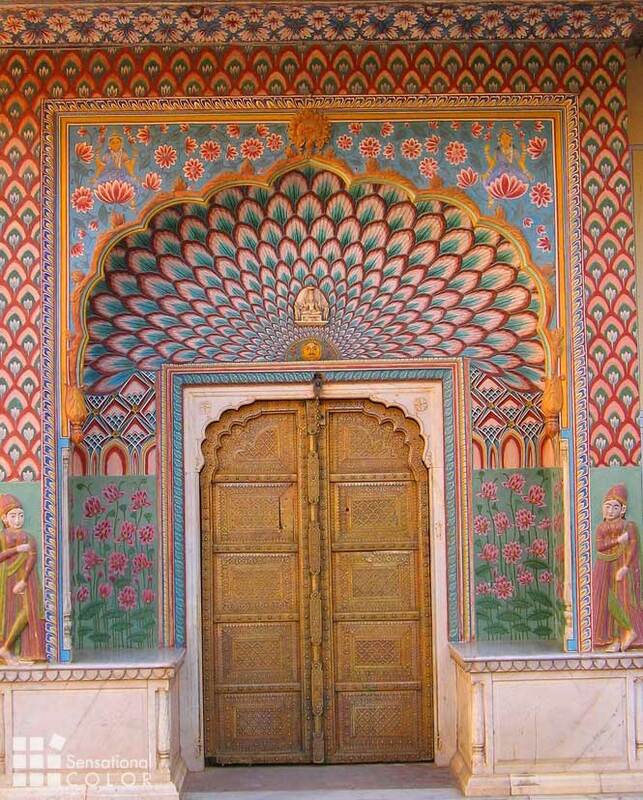 Today, Jaipur stands precariously balanced between fast paced technology and the rustic allure of its glorious past. 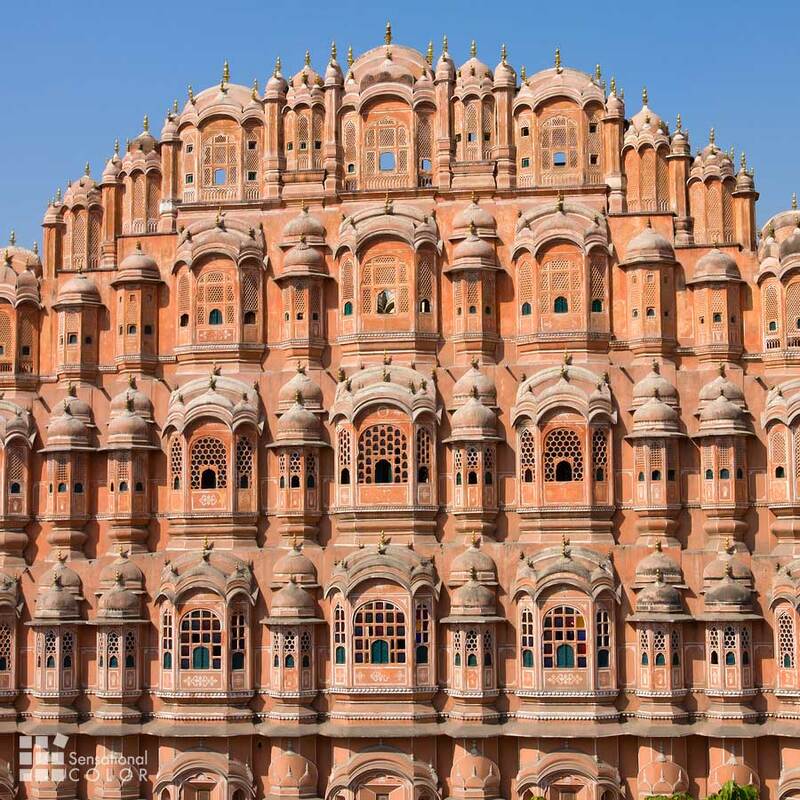 Jaipur the “Pink City” of India beckons admirers and travelers that are looking for a taste of the past. The color of the city palaces will lure you into a restive calm that allows you to take in the sights and sounds of the city. Doused in pink, the city paints different strokes on each admirer’s soul with its opulence and beauty. To some, the pink of the city evokes pure admiration of its ethereal quality, while to others it brings forth comparisons of a blushing bride whose beauty surpasses all. A visit to the city opens up your heart and soul to a bygone era. Who knows what new facet of pink this wondrous city may reveal to you! Images: Licensed from BigStock or Freshstock. Click on any image to find the source. If you liked this article please share it with your friends or leave a comment, thanks! 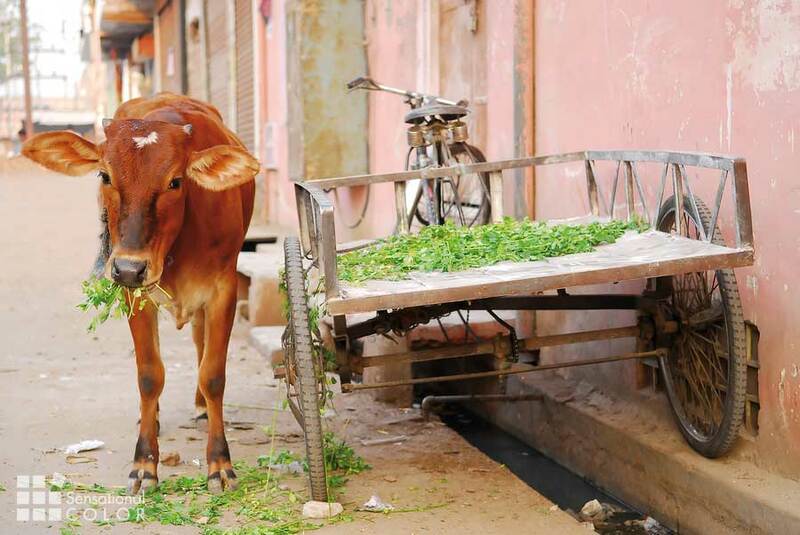 The combination of the pink city wall with the rusty orange of the Holy Cow is one of my favorite color combinations. It’s a combination that isn’t girly or babyish in it’s pinkness, or too retro in it’s orangeness. It seems contemporary and classic at the same time. Thanks for sharing your comments. It made me take another look at that image. It really is a great color combo.